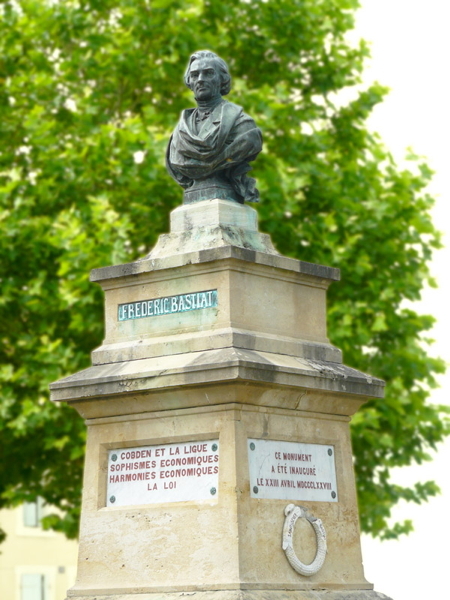 Left image: A monument erected in memory of the French free trade advocate Frédéric Bastiat (1801-1850) in the town of Mugron in S.W. France (1878). The sculptor was Gabriel-Vital Dubray (1813-1892). The original monument was largely destroyed by the Nazis in 1942. 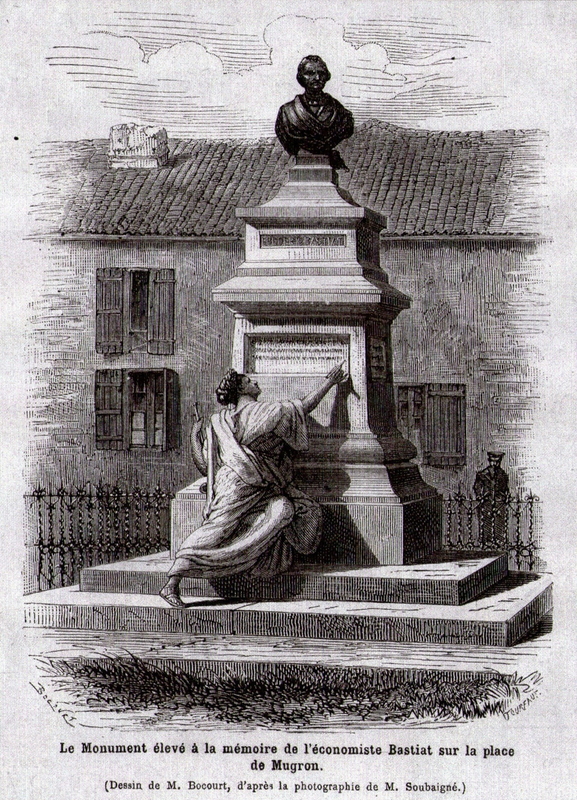 A contemporary engraving shows what it looked like [see below]. 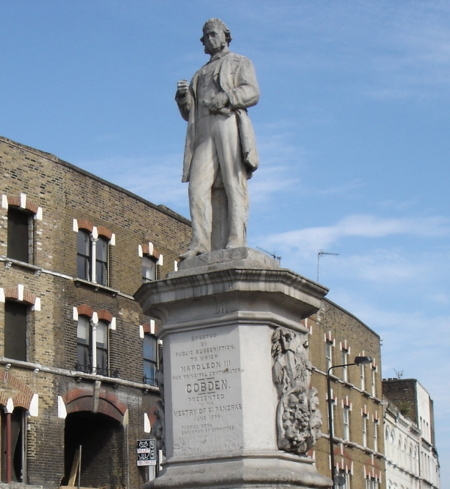 Right image: A statue erected in memory of the English free tradeadvocate Richard Cobden (1804-1865) in Camden Town, London (1868). The sculptors were W. and T. Wills. Observations: Many statues and monuments are erected in public places to military leaders, kings, emperors, and presidents who take their countries to war, raise taxes, increase economic regulation of the economy, and violate civil liberties. Far fewer are the monuments to people who actually increase the sphere of liberty in which individuals can run their lives and businesses. We have two examples of the latter here: two men who agitated for and eventually helped create the conditions for expanded free trade among the people of Europe in the mid-19th century - Richard Cobden (1804-1865) and Frédéric Bastiat (1801-1850). 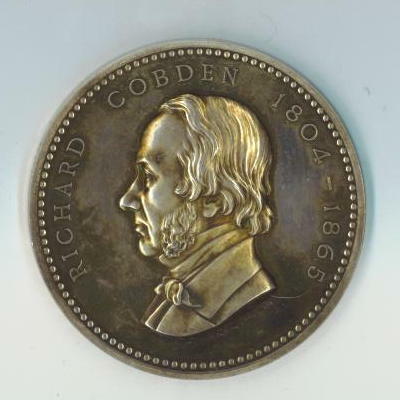 Richard Cobden began the process by forming the Anti-Corn Law League in Britain in 1838 in the manufacturing city of Manchester in order to eliminate the tariffs and price controls on imported "corn" ( i.e. wheat) which was the main staple for working class Britishers. 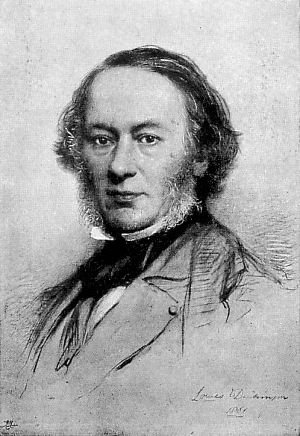 Using innovative techniques to mobilize public opinion in favour of repealing the "corn laws", as they were known, Cobden and the Anti-Corn Law League were able to put sufficient pressure on the British government to force their repeal in 1846. 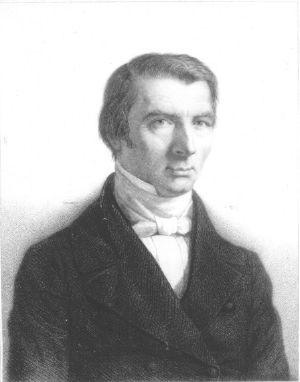 Cobden's success inspired the Frenchman Frédéric Bastiat to emulate his tactics by starting a free trade movement in France. Bastiat initiially failed to organize the French people as Cobden had done with his Société de la liberté des échanges but he went on to develop some of the best articles and books in favour of free trade ever penned before his untimely death in 1850. The culmination of both their lives' work came in 1860 when Cobden and the French politician Michel Chevalier signed the Anglo-French Treaty of Commerce in 1860 ushering in a period of relative free trade in Europe which lasted until the 1890s when tariff wars between the major European powers again broke out. Without resorting to tax-payer funded financial support, the admirers of Cobden and Bastiat raised money privately and independently of each other in order to build monuments to these pioneers of the free trade movement. 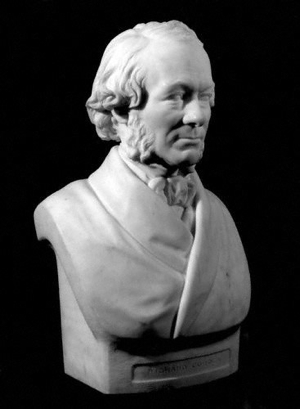 The Society of Political Economy in France and private citiizens who supported Cobden in Britain raised money to design, build, and erect statues to these men. 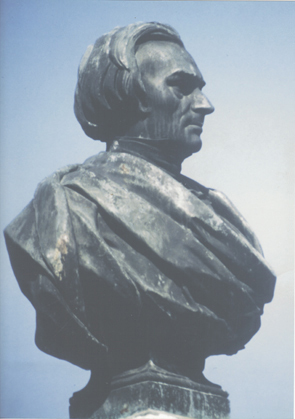 Bastiat's was erected in his home town of Mugron in S.W. 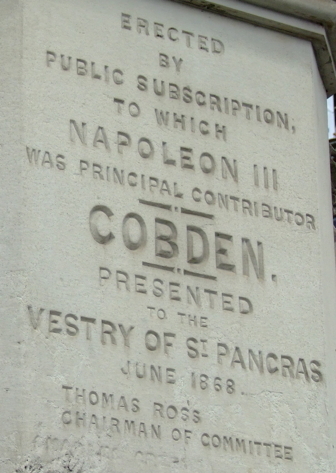 France; Cobden had statues of him erected in his home town of Manchester as well as in London (which we show here). In addition their supporters created busts and medals in order to celebrate their lives and careers. 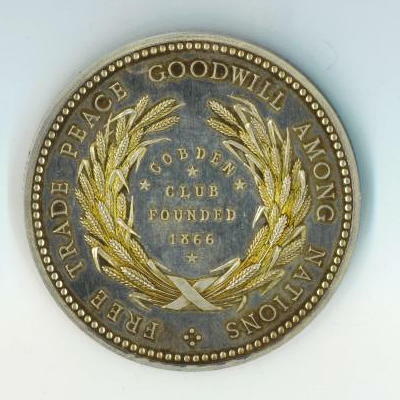 As the motto on Cobden's commemortive medal states let there be "Free Trade, Peace, Goodwill among Nations." Note that Liberty Fund will be pubishing the Collected Works of Frédéric Bastiat in 6 vols. the first volume of which will appear in March 2011.